Disclaimer: This site contains affiliate links. Clicks may result in a commission paid to support this site's charitable mission. Fall is upon us, and that means final year resident physicians and fellows are busy on the interview trail. Hands will be shaken, dinners will be eaten, and contracts will be presented. Today’s guest post is from Rebecca Safier. She writes for Student Loan Hero about education, careers, and other personal finance topics. I was given a few topics to choose from, and I thought today’s topic of signing bonuses was timely. I once took a job with a $100,000 signing bonus. It’s true, but there were strings attached. I would have been better off negotiating an extra $20,000 a year into the salary and taken no signing bonus. Let’s see what Rebecca has to say about signing bonuses and what to do with them. After spending most of your 20s in college, medical school, and residency, you’re probably eager to start working as a doctor and making a doctor’s salary. After all, medical school didn’t come cheap, and you have the student loans to prove it. But before you start work, you must agree on a contract with your new employer. As with your salary and benefits, your signing bonus is up for negotiation. According to The Medicus Firm, the average signing bonus for physicians in 2017 was $30,000 — but the largest was $200,000. So how can you negotiate for an increased signing bonus without risking your chances of getting hired? Here are some tips on the process, as well as advice on what to do with this cash windfall once you get it. According to a report by HealthLeaders Media, The Medicus Firm helped 9 out of 10 physicians hired by the firm get a signing bonus in 2016. 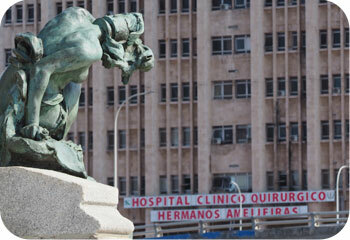 Of those doctors, 34.2% received a bonus between $25,000 and $75,000, and 4.2% received bonuses of $100,000 or more. As you can tell, signing bonuses vary greatly. 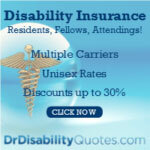 The amount depends on several factors, including your field of medicine and prospective place of employment. For instance, surgeons can typically expect to receive a larger signing bonus than doctors who practice family medicine. My preferred business card (pun intended). 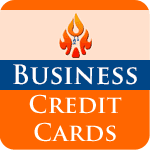 Learn why I like the Chase Business Preferred card and its 80,000 point welcome bonus (with $5,000 spend in 3 mo.)here. And rural hospitals might offer hefty signing bonuses to attract talented doctors who otherwise don’t live in the area. Recruiters in major cities, on the other hand, often don’t need such big incentives since they have a line of well-qualified applicants out the door. So when considering what’s an appropriate signing bonus, don’t pick an arbitrary number such as the amount you’d need to pay off your student loans, as wonderful as that would be. Instead, try to dig up data on your prospective place of employment, as well as the signing bonuses that have been received by others in your field with a similar level of experience. If you can back up your request with data, you’ll have a better sense of what’s a reasonable signing bonus for which to ask — and what’s not. Once you have a figure in mind, clarify your priorities before going into negotiations. Of course, not everyone’s finances will allow them to be selective. But if you have some wiggle room, make sure you know what you’ll accept — and what number will make you walk away. 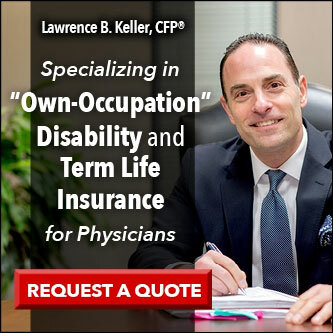 And don’t forget to take every form of compensation into account, including base salary, annual bonuses, and benefits such as health insurance, malpractice insurance, or student loan repayment assistance. Even if the signing bonus isn’t much, all the other parts of your compensation might make up for it. Doctors’ contracts can involve complex agreements and large sums of money, and you spent years studying to be a physician, not a lawyer. If you don’t know your value or you’re not confident going through the process on your own, it could be in your best interest to bring in an attorney or professional negotiator. According to Physicians’ Advocates, bringing in a professional is more likely to impress the employer than alienate them. Hiring an attorney or negotiator could send a message that you’re careful about the business aspect of your contract. Of course, context is everything, so use your best judgment on whether having an advocate negotiate on your behalf would be helpful. Besides figuring out your bottom line, you should also be cautious about accepting a signing bonus if you’re ambivalent about the workplace. Even if you have a short contract, accepting a large signing bonus could send an underlying message that you intend to stay at the practice for a long time. Some employers even require doctors to return signing bonuses if they leave before a certain period. Whether your bonus has this stipulation, it’s probably best to make sure you’re committed to a workplace for the foreseeable future before accepting a big bonus check. Once you’ve agreed on a signing bonus, your next step is figuring out what to do with it. Although not the most fun option, putting it toward your student loan debt could be the most financially responsible in the long run. According to the Association of American Medical Colleges, the average doctor graduated with nearly $190,000 in student loans in 2016. Although that’s a crushing amount of debt, you can likely pay it back, maybe even ahead of schedule, on your doctor’s salary. Or if you went into a lower-paying role, you might qualify for student loan repayment assistance or Public Service Loan Forgiveness. Whatever approach you take, consider putting some or all of your signing bonus toward your student loans. With an extra payment, you can save money on interest and get out of debt more quickly. Check out this Student Loan Hero calculator to see how much interest you can avoid by making a lump-sum payment. $500 Cashback Bonus with Earnest! Up to $500 Cashback bonus with Splash! $300 Cashback Bonus with SoFi! $500 Cashback bonus with CommonBond! $325 Cashback bonus with ELFI! 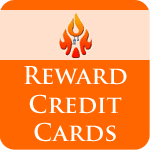 $300 Cashback bonus with Laurel Road! $300 Cashback bonus with Lendkey! $200 Cashback bonus with Credible! $200 Cashback bonus with First Republic! Along with extra payments, refinancing your student loans could be another useful strategy for managing your medical school debt. When you refinance, you could qualify for a lower interest rate. You can also restructure your debt by choosing new repayment terms. 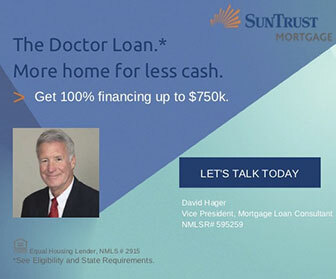 A shorter term might increase your monthly payment, but it would get you out of debt faster. Alternatively, you could go with a longer term to lower monthly bills and take some of the pressure off your budget. A third benefit of refinancing is that it could simplify your debt. If you owe a bunch of different loans to various loan servicers, refinancing could help you combine them into one. 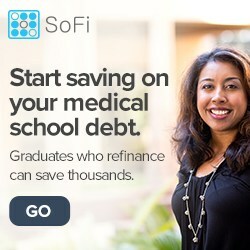 Some lenders, such as SoFi, work with medical residents and doctors to refinance their debt. That said, refinancing federal student loans turns them into a private one. As a result, you lose eligibility for federal programs, such as income-driven repayment plans and Public Service Loan Forgiveness. If you’re relying on either, refinancing could be a mistake. But if you have no issues turning your debt private, refinancing your student loans might help you meet your repayment goals. 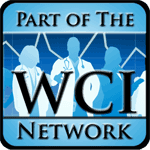 The medical profession is well-known for offering a variety of high-income careers. But before making a high salary as a doctor, you’ve probably spent years living on little and racking up debt in medical school. As a result, you likely have (or will have) some hefty financial obligations as you finish med school and residency. And you might not have much experience managing your personal finances or know how to deal with your new, higher salary. If you’re not sure where to start when you get your first paycheck, take some time to learn the basic concepts of personal finance. For instance, one of your priorities should be setting aside some of your income to create a three- to six-month emergency fund. Another should be to have a certain percentage of your salary automatically deposited into a tax-advantaged retirement savings account. And all the while, you also should work on paying off student loans and tackling high-interest debt. Once you’ve gotten those priorities squared away, you can start focusing on other savings goals. Even though it might involve some sacrifice for a few more years, your finances will be much healthier when you’ve finally cured yourself of your severe case of student debt. [PoF: Back when I got my $100,000 signing bonus, I used it to pay off the last of my student loan debt. Even though I left after two years and had to write a check nearly two thirds the size of the one I received, it was no hardship, partially because I was no longer making student loan payments and had been banking a little bit more each month. Track your investments for free with Personal Capital. That's how I track the PoF portfolio. Have you received a signing bonus for a job you’ve taken? Were you able to negotiate it higher? In hindsight, would you have done anything differently when negotiating your contract? Interesting post. In academics it seems that there is a little less wiggle room on this topic, though docs can certainly get a signing bonus still. Another way in academics to approach this is to ask for additional time towards academic pursuits (research, education, etc) without sacrificing salary. In other words, some places allow you to decrease your shift or RVU requirements while still giving your the same salary. This effectively provides a “bonus” because you are getting paid the same for less work. Given that I view my time as the ultimate commodity (and my work place doesn’t really provide cash signing bonuses), this is what I elected to do. The point is that there are ways to sweeten the deal regardless of where you go, if they really want you. P.s. That’s definitely not cool that some sites don’t share their cash back bonus with their readers. Subscribe to get more great content like this, an awesome spreadsheet, and more! Man I must have really made another financial mistake to add to the ones I had already listed in my blog as I did not get any signing bonus whatsoever when I came to my current workplace 12 years ago. As far as student loan refinancing, I soon realized that since I was not able to deduct student loan interest on my taxes because of my income level it was smarter for me to refinance it into my home as a 2nd mortgage since that interest was deductible (not sure if that would still be a viable option now with the new tax laws though but in the mid 2000s it worked great). I took a sign on bonus and paid my wife’s student loans off. Sadly I had to give it all back as I am leaving my job sooner then the stipulated contractual period. I did use the fact that I had to pay back one sign on bonus to get a sign on bonus at my new job. So boom! I would also add that you can strongly show what you bring to the table. Demonstrate irreplaceable value. If you have specific skills or experience that can make your potential employer / medical group / organization even better… then tell them! Make a business case for you skill set and show how hiring you will improve the work / lifestyle / finances for everyone involved. For example, where I work… there is not much wiggle room. There is a set standard pay scale. However, I was able to negotiate to start at a slightly higher pay scale due to my fellowship experience and a few years working as an attending. You can also propose specific projects for organizational improvement. Then, ask for administrative time or “indirect” working time where you work said project. That’s another route people go. When I took my current academic position last year, I was told by the hiring administrator, “We don’t give hiring bonuses.” I didn’t know whether it was true or not, but calling him on it wasn’t likely to go well if it wasn’t, and if it was, well, then I was back where I started. However, I had really large bonus offers elsewhere, and I used those as leverage for other things that I wanted, such as my 7 on/7 off schedule, (which gives me time to write!). Your negotiating position really depends upon how much they want/need you. Check to see how long they have been recruiting to get an idea of how replaceable you really are. When doctors ask me about their jobs or contracts I always recommend they ask for a sign on bonus. This is especially important for women to hear. In my experience they tend to not think of it or ask about it without prompting. It is an easy $20-50k there for the asking. All who followed my advice got it and were grateful. Signing bonuses have been around for some time but now thanks to the internet and resources you mentioned, data exists to use to negotiate. When I graduated, everything I learned was passed on to me by a mentor and what I could piece together using job boards. I also graduated during a down cycle in anesthesia and finding a job was easy. Once I had a few offers from various jobs, I knew I could leverage my position. I asked for the signing bonus and requested to have it payable upon signing of the contract, as opposed to starting the job. They agreed. This helped me pay off all my credit card debt and start my emergency fund in April before starting. Having the position squared and my debt relieved made the rest of the year less stressful, and I focused my efforts on my board examinations. My preferred business card (pun intended). 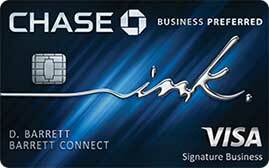 Learn why I like the Chase Business Preferred card here.